Mi16 conversion with home made inlet manifold, motorbike tb's and Emerald M3D ECU. Created on 10 Nov 2006, last changed on 18 Dec 2006. This album contains 394 items. This album has been viewed 11195 times since 10 Nov 2006. 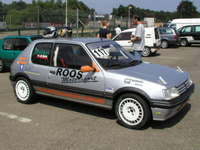 One of the sexiest 205's ever, with extreme attention to details! Created on 10 Nov 2006, last changed on 10 Aug 2007. This album contains 77 items. This album has been viewed 10333 times since 10 Nov 2006. A story of building a turbocharged Mi16 engine. Created on 10 Nov 2006, last changed on 08 Jan 2007. This album contains 53 items. This album has been viewed 4794 times since 10 Nov 2006. Using his professional bodywork skills to perfect his 205! Created on 20 Nov 2008, last changed on 26 Nov 2008. This album contains 165 items. This album has been viewed 3297 times since 20 Nov 2008. 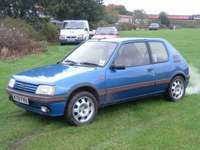 205 GTI on carbs, built for trackday fun! Last changed on 04 Feb 2007. This album contains 142 items. This album has been viewed 15320 times since 09 Jan 2007. Intricate detailing, high performance, trackday use and weekend warrior. Created on 21 Dec 2006, last changed on 17 Apr 2007. This album contains 46 items. This album has been viewed 5077 times since 21 Dec 2006. 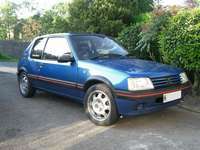 Full car restoration, spiced up with 309 GTI16 engine and suspension! Created on 07 Nov 2006, last changed on 04 May 2009. This album contains 409 items. This album has been viewed 5132 times since 18 Dec 2007. 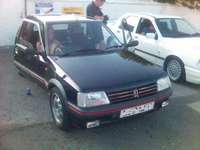 3.8 liter, 32 valve, 300+ bhp, 4 wheel drive 205 with bags of adrenalin! Created on 08 Nov 2006, last changed on 26 Feb 2012. This album contains 1102 items. This album has been viewed 59123 times since 08 Nov 2006. 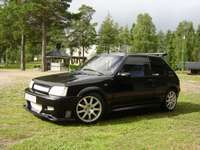 205 CTI converted to a radical turbocharged roadster! Created on 01 Nov 2006, last changed on 08 Nov 2006. This album contains 21 items. This album has been viewed 4329 times since 01 Nov 2006. 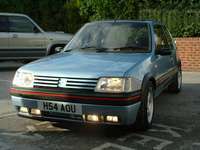 An example of how to build an affordable and fast trackday 205! Created on 07 Nov 2006, last changed on 10 Nov 2006. This album contains 30 items. This album has been viewed 2748 times since 07 Nov 2006.